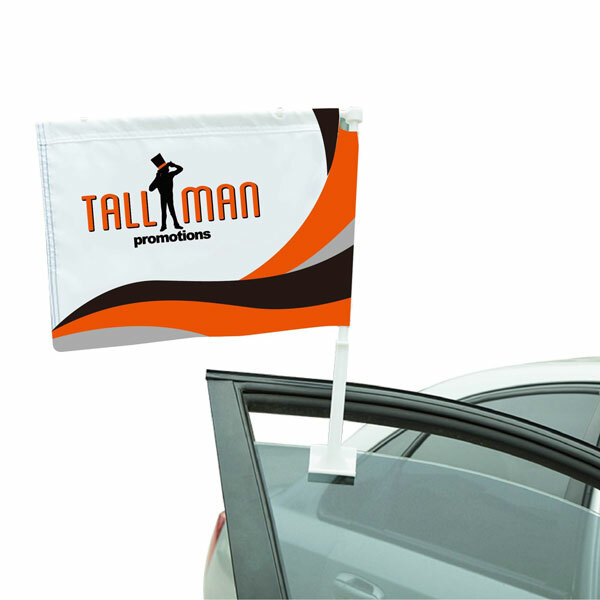 Here at TALLMAN.PROMO, we offer a few options for customer car flags. We will ensure that your product goals get met. Our goal is to have your flag always standing strong and looking smooth, while displaying the logos/brand that you have requested. In the driveway or parking lot, car flags are an effective method of vehicle advertising. These are also handy items for a sports fan during the World Cup, Stanley Cup or for the year-round fan who wants to show his team’s colors everywhere they go. Custom car flags can be single or double-sided to ensure they fit your needs. Double-sided flags are heavier so we do recommend the you use the 20” premium pole to secure your flag snug in place. Some poles are a better fit than others because they are created out of strong materials. If you need any help with design, flag or pole selection, we are more than happy to help. Car flags are made from 100D polyester material. 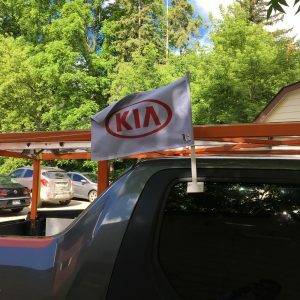 All of our car flags come with the option of one or two sides.